March is National Reading Month, so I'm going to share several books highlighting my favorite books for the whole family. 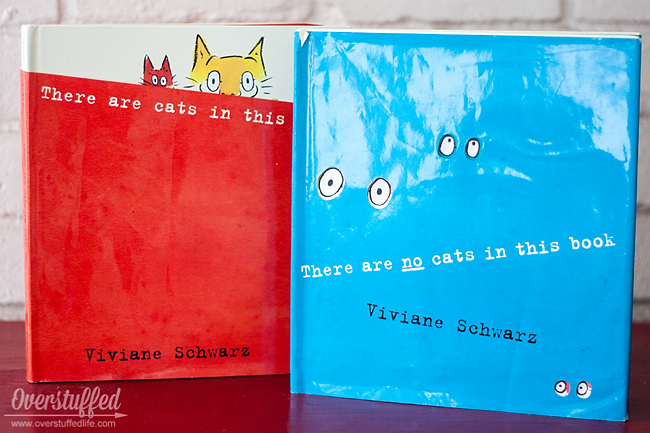 Today I'm going to tell you about some of my very favorite picture books—the ones you may not have heard of before. Even though my youngest daughter is 8 years old now and a fabulous reader, we still love to read fun picture books together occasionally. And I even still buy them when I find one I just can't pass up! Of course, when the girls were really young, I read them picture books all the time. They loved listening to the fun stories and looking at the beautifully illustrated pictures and I loved cuddling with them and teaching them how awesome books are. 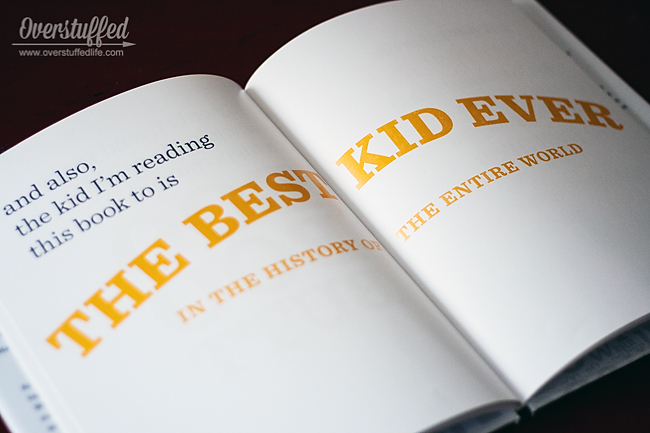 Before I tell you about our favorite picture books, I want to tell you about Bookroo. 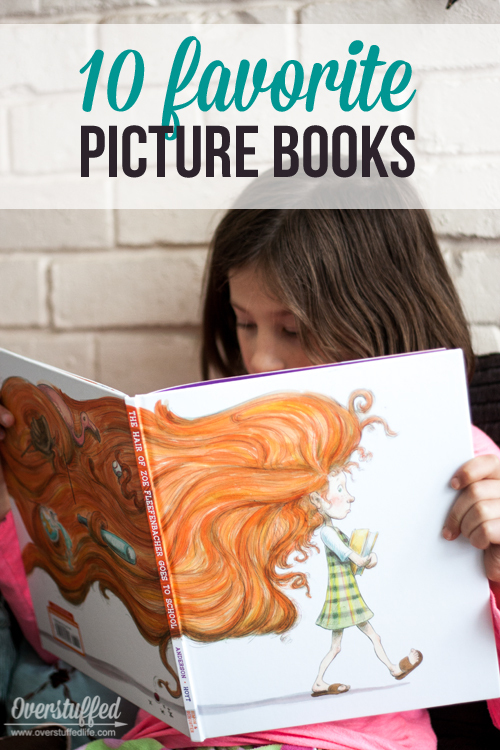 Bookroo is a kids' subscription box filled with picture books! If reading is important to you and your kids and you want to find gems that you've likely never seen before, you'll love this service. 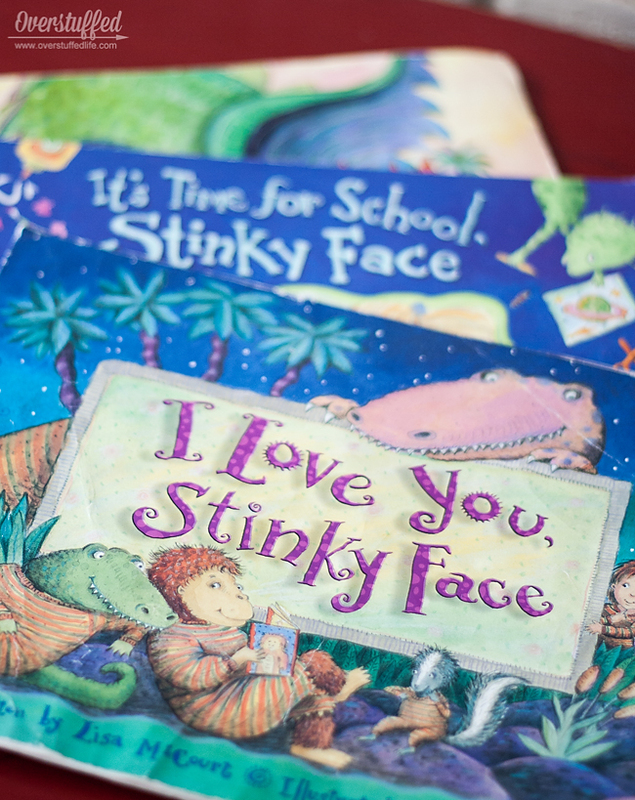 I Love You, Stinky Face is probably the very favorite picture book of all time at our house. It's a wonderful conversation of "what ifs" between a mother and her very imaginative son. I got a hardback copy of it when Bria (now 14) was just a few months old. She loved to have that book read to her over and over, and her younger sisters followed suit. In fact, I finally had to get rid of that copy when I did my big book declutter last October. It was completely falling apart, and pages were missing. Luckily, I had bought a copy in paperback, along with its sequels I Miss You, Stinky Face and It's Time for School, Stinky Face, so we still have a copy. Now you can't get it in hardcover unless you find it from a third party seller. But that doesn't matter. I'm just happy it's still on my shelves! 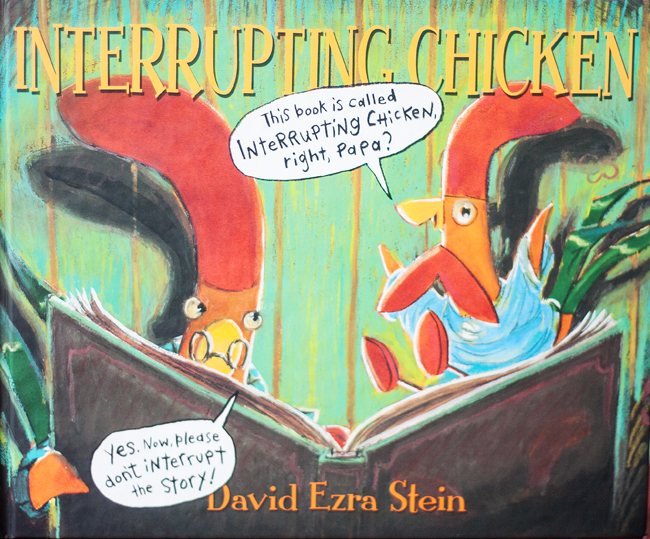 Interrupting Chicken is another parent child conversation that is so much fun to read. Dad is reading familiar bedtime stories to his daughter, who cannot bear for the characters to meet the misfortunes she knows are coming. So she interrupts the story every time to save the day, much to the exasperation of her father. It has a delightful ending in which the tables are somewhat turned on her as she reads a bedtime story to Dad. 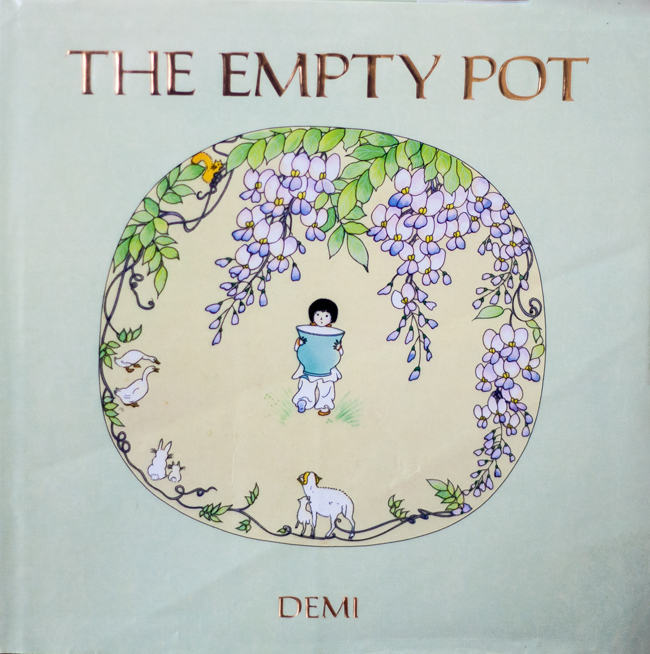 The Empty Pot is a Chinese folk tale that teaches the importance of honesty with a wonderful story of an emperor who is searching for a new heir. He gives each child in the land a seed to plant, and whichever child can grow the most magnificent plant will be given the throne. The title of the book may give away the ending to you, but it is not so obvious to young children. My girls have all been greatly affected by the courage it required to tell the truth, but also the great rewards of honesty. 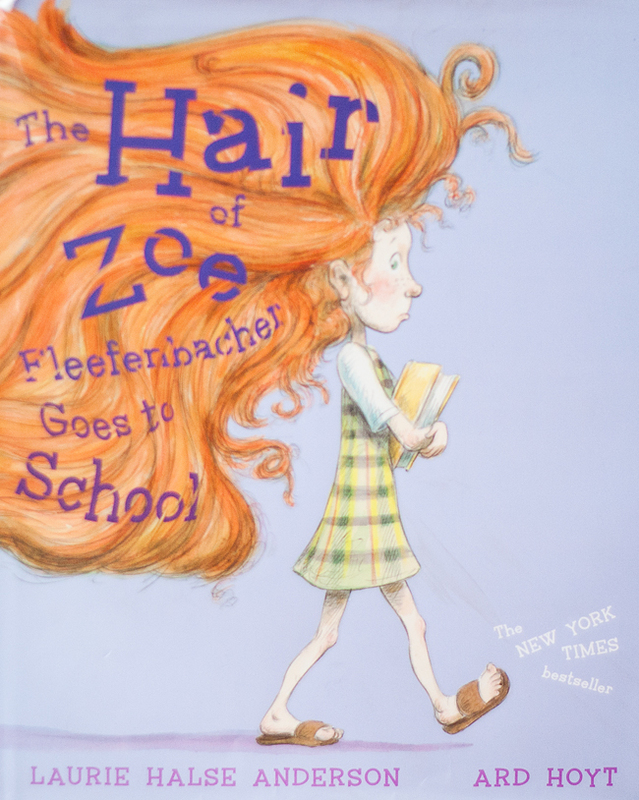 The Hair of Zoe Fleefenbacher Goes to School is the story of Zoe and her wild and crazy hair. When Zoe starts first grade, her teacher doesn't want Zoe's hair in the classroom because it simply causes too many problems. Ultimately, the story is about teachers (or parents!) and children learning to work together. This book has been a favorite of my Sophia, because she is a little bit like Zoe's hair. The book has helped her to see that she can use her strong will to be helpful instead of wreaking havoc. 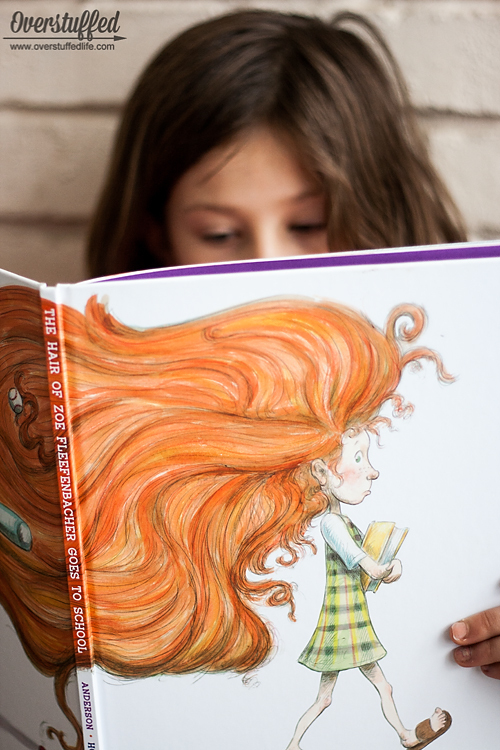 The illustrations are super fun, and depict Zoe's hair doing all sorts of crazy things--if you don't look closely, you'll miss it all! 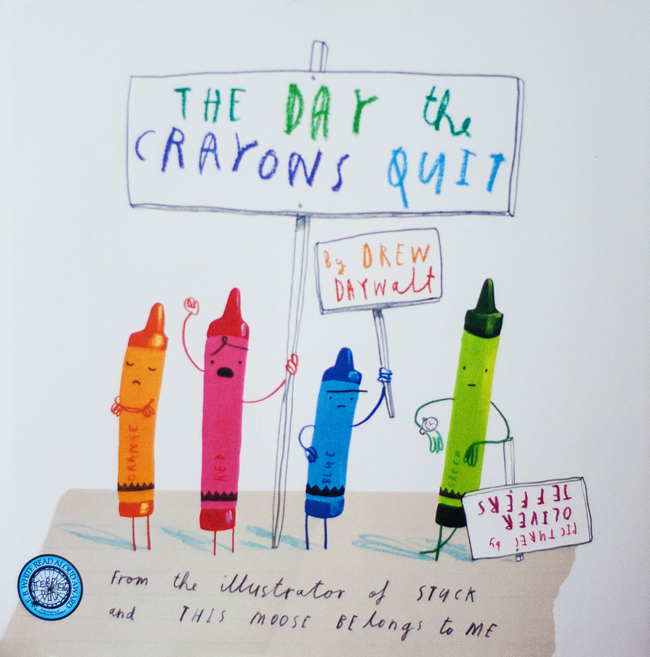 The Day the Crayons Quit is a book that will speak to your art-loving child's soul. That is my Chloe. This book just came out last year, but she found it in the library and fell in love with it at age 11. So I bought a copy for us. It's a fun book about crayons who write letters to their owner, a little boy who loves to color. They are tired, they need a break, they are sick of always being the color of the same things again and again, and so on and so forth. Duncan, their owner, has a wonderful idea to make all of the crayons happy once he finishes reading their letters. The illustrations are creative and, of course, colorful. 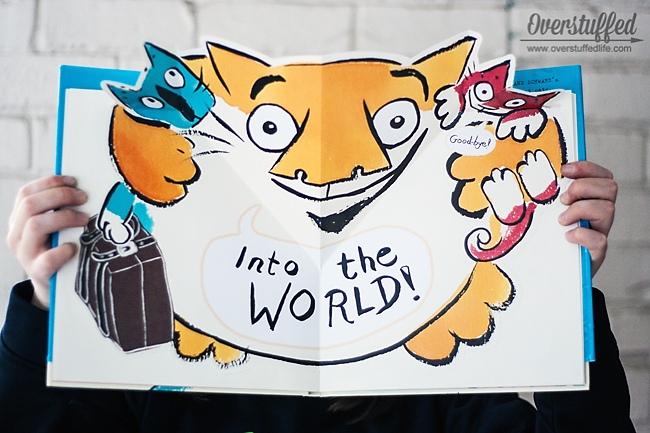 There Are Cats in This Book and its companion There Are No Cats in This Book are particularly great for kids who are old enough to participate in the story. They are highly interactive, with flaps and pop-ups and fold outs. And best of all--lots of cats to play with. Or, maybe no cats. You'll just have to find out for yourself. 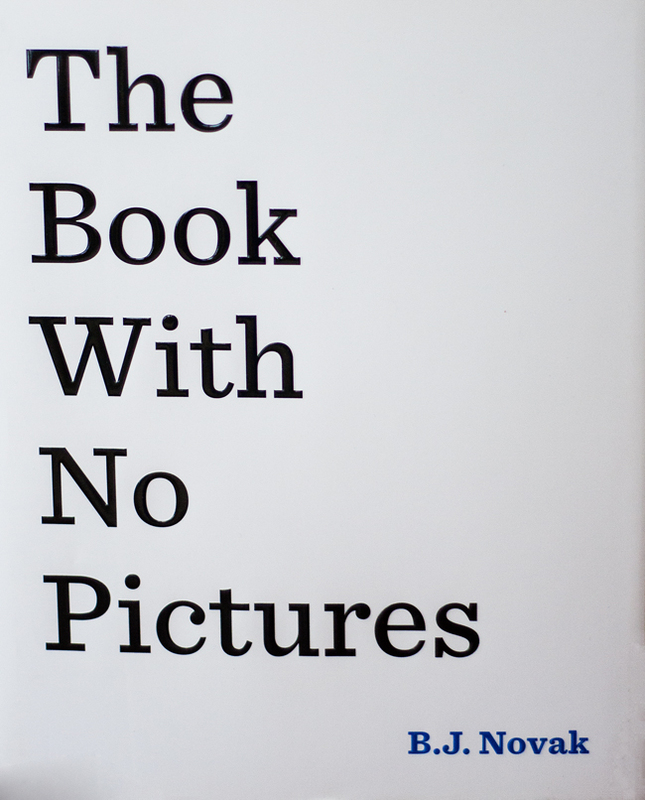 The Book With No Pictures is exactly that. 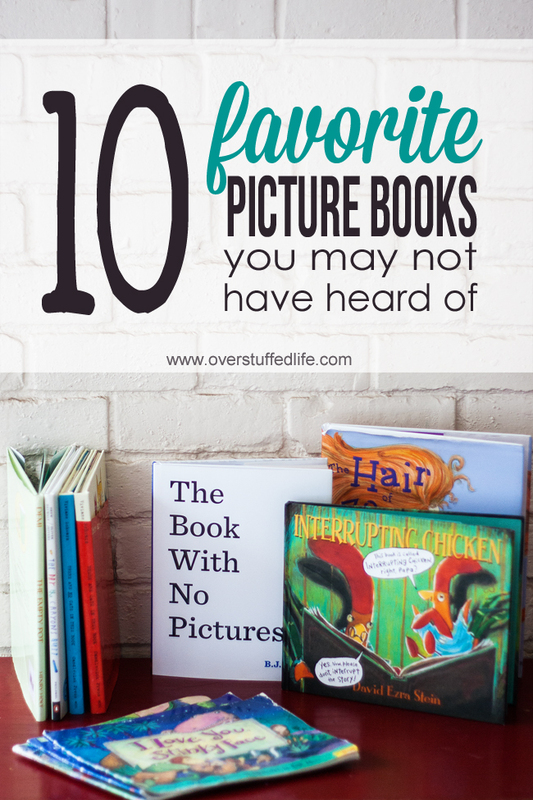 Are you wondering why I would put a book with no pictures on our list of favorite picture books? Because picture books are meant to be read aloud, and this one might be more fun to read out loud than any other picture book you've ever read. Or non-picture book, as it were. This is another newly released book that I just couldn't resist buying for my bookshelves. All of my kids thought it was hilarious and wanted to take turns reading it out loud to each other on the day I brought it home. Everyone will love it, I promise. I love the Stinky Face books, but I had not heard of the others! I am definitely sharing this one! Oh my phone does not like commenting at all! That last part was supposed to beinterrupting hicken. Obviously. We're always looking for more books; thanks for the great recommendations! Never fear! I am fluent in both typo and autocorrect! :) I think both of those books are especially fun to read out loud to kids, though! My 8-year-old was just telling us about the crayon book the other day. We're still laughing about the idea of a black beach ball. I will have to look those up. 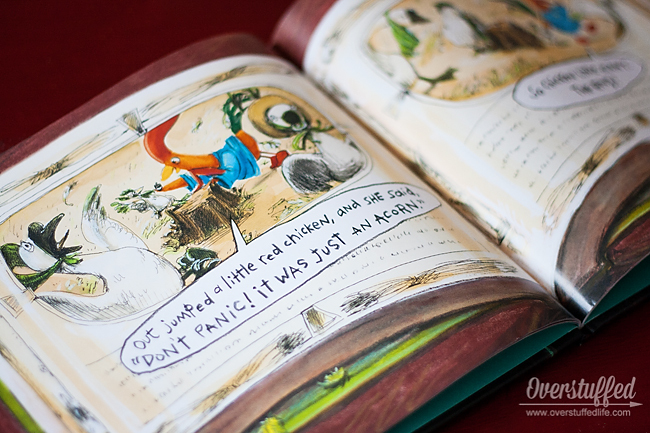 I love picture books, even though my children are technically growing out of them. But they really aren't, because when I got all of these out to do this post, they were read several times by the girls. :) Thanks for new recommendations! These are all really great choices! I found this pin on pinterest and I work at a library and was curious. I love these and I just HAD to drop in as a guest and recommend the book Stephanie's Ponytail by Robert Munsch! Stephanie wants a ponytail to wear for school but when she goes back a second day to see that EVERYONE is wearing their hair up in a ponytail just like her, she has to find other fun, different ways to wear her ponytail. Everyone keeps following the trend until Stephanie puts it to an end to it all with a hilarious outcome! This will have you in tears by the end of the book! And thank you for posting these! that Ate our Keys" and "The Monster that Ate my Socks" (http://www.ajcosmo.com/). These books are not scary at all (perfect for bedtime reading) and are two very funny stories that teach life lessons and kept my son laughing throughout. I love the book "The Flying Hockey Stick" by Jolly Roger Bradfield Especially for boys. Mine just loved it, and spent days trying to build their own.